This section presents the results of the cultural heritage impact assessment (CHIA) for the construction and operation of the proposed commercial scale wind turbine pilot demonstration at Hei Ling Chau. The aim of the assessment is to identify any direct or indirect impacts of the Project on cultural heritage resources. This section presents the information gathered from a literature review and field surveys to establish the baseline cultural heritage conditions. The detailed field survey findings are presented in Annex C. Potential impacts have been evaluated and mitigation measures have been recommended where necessary. · Criteria for Cultural Heritage Impact Assessment (CHIA). The technical scope for evaluating and assessing cultural heritage impacts is defined in Annexes 10 and 19 of the EIAO-TM. The criteria recommended by the guidelines can be summarised as follows. · Adverse impacts on sites of cultural heritage shall be kept to an absolute minimum. The Antiquities and Monuments Ordinance (Cap. 53) (AM Ordinance) provides statutory protection against the threat of development on Declared Monuments, historical buildings and archaeological sites to enable their preservation for posterity. The AM Ordinance also establishes the statutory procedures to be followed in making such a declaration. The Antiquities and Monuments Office (AMO) identifies Deemed Monuments() and forms agreements with the owners of monuments to provide for specific measures that will ensure preservation. Deemed Monuments can be upgraded to statutory Declared Monuments under the AM Ordinance. A large range of potential sites of cultural heritage, among which are historical buildings and structures and archaeological sites, have been identified and recorded by AMO in addition to those for which a declaration has been made under the AM Ordinance. Historic buildings and structures are recorded by AMO according to the grading system summarised in Table 9.2a. Buildings of outstanding merit; every effort should be made to preserve these structures if possible. Buildings of special merit; effort should be made to selectively preserve these structures. Buildings of some merit, but which have yet to qualify for consideration as possible monuments. These are to be recorded and used as a pool for future selection. It should be noted that the grading of historical buildings is intended for AMO’s internal reference only and has no statutory standing. Although there are no statutory provisions for the protection of recorded archaeological sites and historical buildings and features (including Deemed, Graded and recorded), the Government has established a set of administrative procedures() for giving a consideration to the protection of these resources. Over the years, surveys have been undertaken to identify archaeological sites in Hong Kong. The AMO has established boundaries for the identified sites and a set of administrative procedures for the protection of the known archaeological sites. However, the present record of archaeological sites is known to be incomplete as many areas have not yet been surveyed. There is a need therefore to ensure that the procedures and mechanisms, which enable the preservation or formal notification of previously unknown archaeological resources that may be revealed or discovered during project assessment or construction, are identified and implemented at an early stage of the planning of a project. Section 11 of the AM Ordinance requires any person who discovers an antiquity, or supposed antiquity, to report the discovery to the Antiquities Authority. By implication, construction projects need to ensure that the Antiquities Authority, the Antiquities Advisory Board (AAB) (), is formally notified of archaeological resources which are discovered during the assessment or construction of a project. Under this Ordinance, it is required that a permit is obtained for any excavation within Government land prior to any excavation work commencing. Chapter 10 (Conservation) of the Hong Kong Planning Standards and Guidelines (HKPSG) provides general guidelines and measures for the conservation of historical buildings, archaeological sites and other antiquities in Hong Kong. The criteria set out in Appendix C of the EIA Study Brief No. ESB-145/2006 have been used in this assessment, they include a baseline study, field evaluation and impact assessment. The methodology for the CHIA followed the criteria and guidelines as stated in Annexes 10 and 19 of the EIAO-TM and the criteria for CHIA as stated Section 3.4.6 and Appendix C of the EIA Study Brief No. ESB-145/2006. As stated in Section 3.4.6.3 of the EIA Study Brief, the Study Area for the terrestrial archaeological investigation extends to the area within 25m of the works site boundary and also includes the areas likely to be impacted by the Project. · Landscape features including sites of historical events, sites that provide a significant historical record, buildings or monuments of architectural or archaeological importance, historic field patterns, tracks and fish ponds and other sites such as fung shui woodlands and clan graves. Sources at the AMO, the Lands Department, the tertiary institutions, the internet and consultation with representatives from the Correctional Services Department (CSD) were reviewed to obtain relevant information. Desktop research identified no declared sites of cultural heritage in HLC. Field surveys were then conducted to confirm the presence of any cultural heritage resources within the Study Area. The Study Area was field scanned to identify all historical buildings and structures. Photographic records of each identified building or feature (exterior and interior where possible) as well as the surroundings were taken (see Annex C1). Architectural and historical appraisals of the identified buildings and features were prepared. A terrestrial archaeological survey is required to obtain field data to evaluate the presence of any archaeological deposits within the Study Areas as defined in Section 9.3.1. If archaeological remains were identified, their nature, horizontal and vertical extents were determined. Prior to the commencement of fieldwork, a desktop review was undertaken through a review of maps, aerial photographs and previous archaeological survey findings to establish the scope of the survey. AMO was consulted on the scope of the survey. A total of 12 auger holes and 3 test pits were proposed within the Study Area (see Figure 9.4b). The fieldwork commenced on 30 June and completed on 6 July 2006. The archaeological investigations are presented in Annex C2 and key findings are presented in Section 9.4. Hei Ling Chau was originally named as Nai Gu Island (尼姑洲) according to the 1897 edition of the Map of Sun-On District in Kwang Tung Directory (廣東通志) (). A review of the Xin’an Gazetteer of 1819 () and Report on Extension of The Colony of Hong Kong of 1898 () identified no village recorded on Hei Ling Chau in the . According to the Map of the Hong Kong and of the Territory Leased to Great Britain, published in 1905 by the War Office of Colonial Government (), three settlements were recorded in Hei Ling Chau namely Kwo Lo Wan (過路灣), Ngau Tau Tong village (牛頭塘村) and Pak Pai village (白排村). It is believed that two brothers of a Lam clan originally from Kwei Chau in Guangdong Province first settled on the island. By 1898, there were three clans: the Lam, Tsang and Ng clans, settled on the island. The Lam and Tsang clans lived in the Ngau Tau Tong area while the Ng clan settled in the Kwo Lo Wan area. These clan groups relied on farming and fishing to make a living. By 1951, there were 10 families with less than 100 people on the island (). During the post-war years, leprosy cases were rife in Hong Kong. In 1950, the Hong Kong Government and the Leprosy Mission in London decided to set up a leprosarium on Hei Ling Chau to provide shelter and treatment to leprosy patients. The clan groups were given compensation to leave the island, and settled in nearby areas namely Tai Pak, Shap Long and Cheung Chau. In 1951, a nursing team led by an experienced leprologist, Dr Neil Duncan Fraser, came to Hong Kong from China to establish the leprosarim. The island was then used as a leprous hospital and the island was renamed to Hei Ling Island, meaning the Island of Happy Healing/Joyful Soul. At one time in the early 1960s, the leprous hospital had a maximum intake of 540 patients. In 1974, as leprosy came under control, the Leprosarium at Hei Ling Chau closed down and about 50 disabled inpatients were relocated to the new Lai Chi Kok Hospital (). The island was then taken over by the CSD to be used as an addiction treatment centre and correctional institution (). Currently, there are three institutions on the island, comprising the Lai Sun Correctional Institution, Hei Ling Chau Addiction Treatment Centre and the Hei Ling Chau Correctional Institution (HLCCI). In the 1980s, the HLCCI site was used as a detention centre for the Vietnam refugees. The desktop review and field scanning identified no Declared Monuments, graded buildings or known archaeological sites on the island. However, ten potential pre-1950 and post-1950 sites of cultural heritage comprising two Tin Hau Temples, a leprosarium cemetery, three individual graves, two boundary stones (regarded as one site) and three sites of historical buildings, were identified. Their key location plan and details are shown in Figure 9.4a and Table 9.4a, respectively. Photographic records and 1:1000 part plans are presented in Annex C1. Grave 1 is located at the foothill of area 18C of the HLCCI. According to headstone inscription, the grave was constructed between 1736 and 1795 and was renovated in 1810. The grave is the burial site of two ladies of the Lam clan. According to the information provided by CSD staff, no one has visited the grave in recent years but CSD staff will worship the grave. 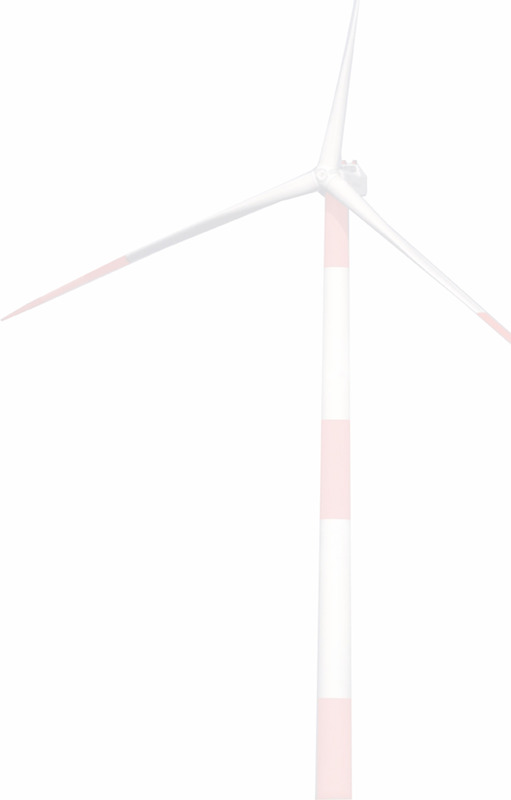 Grave 2 is located at a small knot near the Project Site of the wind turbine. No information regarding the year the grave was constructed can be found but the inscription on the headstone records that the grave was renovated in 1886. It is a grave of the Chan clan. According to the information provided by CSD staff, no one has visited the grave in recent years. Grave 3 is located to the north of Bunglow B at the north-western end of the island. The year the grave was constructed is not known. According to headstone inscription, it was renovated in 1889. It is the grave of a lady of the Lam clan. According to Greeish Hei Ling (), there are two boundary stones of the Chan clan; however, no map showing the location is available. The stones were not found within the proposed construction area during the field scanning exercise. According to the lintel inscription of the Temple, this was constructed in 1925. It has a pitched roof typical of a Chinese building. The temple is now used as a store room by the CSD. This site comprises a number of stone built houses in the colonial style (mixed and Chinese and western architectural characteristics). These were constructed in 1954 for the use of the leprosy hospital known as the Maxwell Memorial Medical Centre. The buildings are now used by the CSD as the Hei Ling Chau Addiction Treatment Centre. There is a small cemetery located to the north-east of the Hei Ling Chau Addiction Treatment Centre (Annex). The cemetery was used by the leprosarium from the mid-1950s until early 1970s. The cemetery contains about 88 grave sites. Two stone houses are identified some 260m north of the Project Site. Based on review of literature and old maps, the buildings were probably constructed in the late 1950s to early 1960s. The church was constructed in 1966 for the leprosarium and is now abandoned. This temple is a one storey pitched roof construction. It was built in 1985 by donations from local believers and from staff of the CSD serving the Tin Hau God (). The desktop review identified no known archaeological sites on the island. In 1994, an archaeological survey was undertaken to the south of the former Tin Hau Temple. Two test pits and some auger holes were dug at the lower slope to the south of the existing pier. No archaeological deposits were identified from the survey (). According to information provided by Inspector Ko of the CSD stationed on HLC, stone tools were identified during construction of the staff hostels on HLC. These artifacts are now kept in the CSD Education Centre. However, the precise location at which the stone tools were discovered cannot be determined as staff that witnessed the work has been transferred. The Project Site is located on a slope at a mountain ridge on the southern part of the island. Cut and fill works were used to modify the landscape in the pasts, and the area is now used by CSD’s construction contractors. As the area has undergone heavy disturbance, it is unlikely to have archaeological potential. Minor enabling works (including rock cutting, removal of planters and road widening on existing modified slopes) along the long and short access routes are required to provide sufficient turning space for heavy construction vehicles to access the Project Site. The proposed work areas for enabling works along the long access route had been heavily disturbed from previous road construction activities and are unlikely to have archaeological potential. Nevertheless, this was verified by the field investigation. Fieldwaking, boring of 10 auger holes and excavation of 3 test pits at the Project Site and areas of enabling works were undertaken (see Figure 9.4b). No archaeological deposits were identified, confirming that the Project site and the areas of enabling works have no archaeological potential. The detailed fieldwork findings are presented in Annex C2. · Temporary or permanent access disturbance to standing heritage due to construction works near standing heritage. · Permanent access disturbance to standing heritage if the standing heritage is conserved within the developed area of the Project. As there are no Declared Monuments, Deemed Monuments, known archaeological sites or graded buildings on the island, no impact on these cultural heritage resources is expected. Ten standing potential sites of cultural heritage have been identified (see Table 9.4a). None of the sites will be directly impacted as they are located outside the Project Site and are away from the proposed enabling works for the long route and short access routes. A more detailed assessment for each site is presented in Table 9.5a. No direct impact due to large separation distance. No impact as field scanning confirmed that the stones are not within the Project Site or the proposed enabling works. The archaeological investigation undertaken as part of this EIA Study confirmed that there were no significant archaeological resources identified within the works area and hence no direct impact is expected. Details of the investigation are presented in Annex C2. Due to the small scale of the construction activities and the large separation distance between the works area and the identified cultural heritage resources, it is not envisaged that the construction activities will cause indirect impacts to the identified cultural heritage resources. At present there are no planned projects on Hei Ling Chau that could have cumulative cultural heritage impacts with the proposed development. As presented in Section 9.5.2, no impact has been identified due to the proposed development and thus, no mitigation measures are considered necessary. As no impact has been identified, no environmental monitoring and audit for cultural heritage resources is necessary. The literature review and field surveys identified no Declared Monuments, Deemed Monuments, graded buildings or known archaeological sites on Hei Ling Chau. No direct or indirect impact to the cultural heritage resources is expected. None of the identified pre-1950 and post-1950 potential standing sites of cultural heritage will be impacted by the Project. No mitigation measures are required. It is therefore concluded that the Project will not cause adverse cultural heritage impacts. () Deemed Monument - a building that has been identified by AMO as historically significant. An agreement will be in place between the owner of the building and the AMO to allow restoration work to take place and reasonable access for the public. The agreement has no legal protection over the building. () Administrative procedures are adopted by AMO with the intention to protect sites of archaeological and historical interests that not protected under the provisions of AM Ordinance. For example, following consultation with AMO, a reserve area designation may be imposed on a particular area or building where development is proposed. () The Antiquities and Monuments Office passes information to the AAB. The AAB is a statutory body which advises on matters relating to antiquities and monuments. () Quangdong Province Government 1897 Kwang Tung Directory (廣東通志). () 舒懋官 1819 新安縣志 新安縣衙. () Lockhart, Stewart 1900 Report on Extension of the Colony of Hong Kong, London: United Kingdom Colonial Office. () Geographical Section Gerenal Staff No.1393, 1905, Map of Hong Kong and of the Territory Leased to Great Britain (1:84,840), London: United Kingdom War Office. () Chan, Lai Lee 1963 A regional study of Hay Ling Chau, Hong Kong: University of Hong Kong Undergraduate essay presented in the Department of Geography and Geology. () Dr Fu Kuo Tai and Dr Wu Wing Cheung, c. 2004 "A Leprosy Centre at Hei Ling Chau" in Repair, Reconstruct and Rehabilitate : Half a Century of Orthopaedics in Hong Kong, Hong Kong : Hong Kong Academy of Medicine Press, 154-155. () Correctional Services Department 2002 Greenish Hei Ling (綠色喜靈), Hong Kong: Correctional Services Department. (1) Au Ka Fat 1994 Report on Archaeological Evaluation and Investigation at Hei Ling Chau, Hong Kong, Antiquities and Monuments Office (unpublished).